Discovered in a secondhand store in North Carolina, USA, this clock connected to Ryde Fire Station was bought and then sent back to the Island by a couple who insisted on paying for it all. The Isle of Wight Fire Brigades Federation Facebook Page holds a wealth of historical gems about the history and heritage of the Isle of Wight fire service. 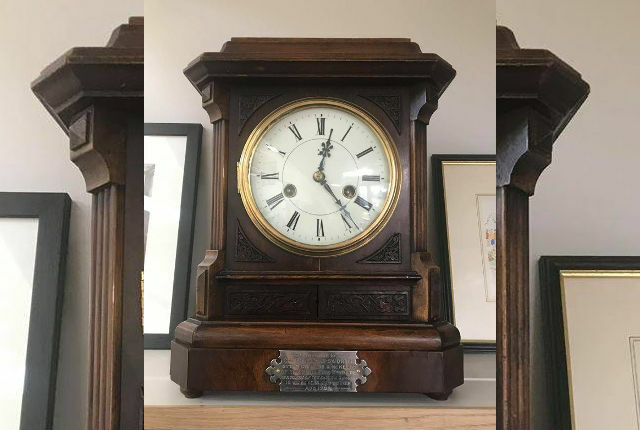 Damon Corr from Ryde Fire Station, who runs the Facebook page (as well as his fantastic Website dedicated to the history of fire-fighting on the Isle of Wight), posted a great update yesterday about this clock in the photo above. “Some time ago Ryde Fire Station was sent this clock by a very generous couple in North Carolina, USA, who found it in a secondhand store. 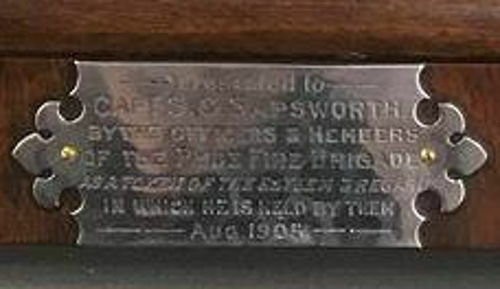 “They noticed the engraved plaque indicated that it was given to Captain Sapsworth of Ryde Fire Brigade and they insisted it was returned to us and despite having paid for it themselves they even insisted they paid for its conveyance back across the Atlantic. 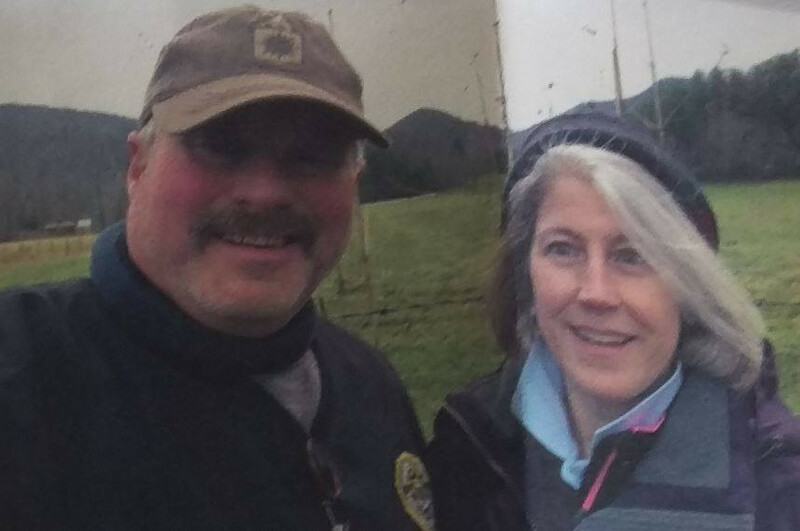 The clock was found in a thrift shop in Fairview, North Carolina by Bob and Beth Kandra (pictured below). They contacted Damon earlier this year after reading the inscription and Googling for Ryde fire station. “It’s now proudly displayed on a cabinet that was built for the purpose in the station mess room and reminds us of our station’s heritage with a bong every thirty minutes. Damon shares this great background …. 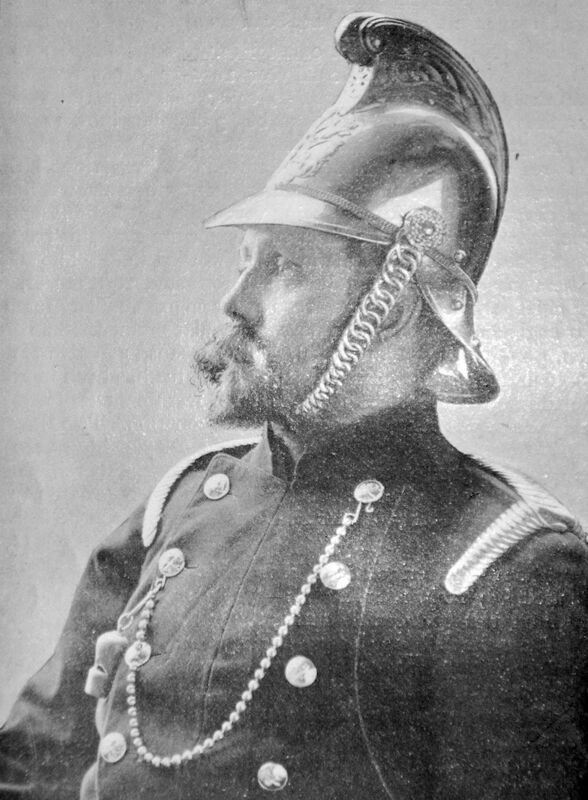 Captain Sidney Charles Sapsworth (pictured below) was captain of the old Ryde Fire Brigade from 1897 to 1911. Prior to that he was captain of the Richmond Volunteer Fire Brigade for many years. He moved to the Isle of Wight to establish his cycle and motor business in Ryde’s St Thomas’s Square around 1894, but when the town needed a new captain of the brigade he felt compelled to apply and was by far the strongest candidate. 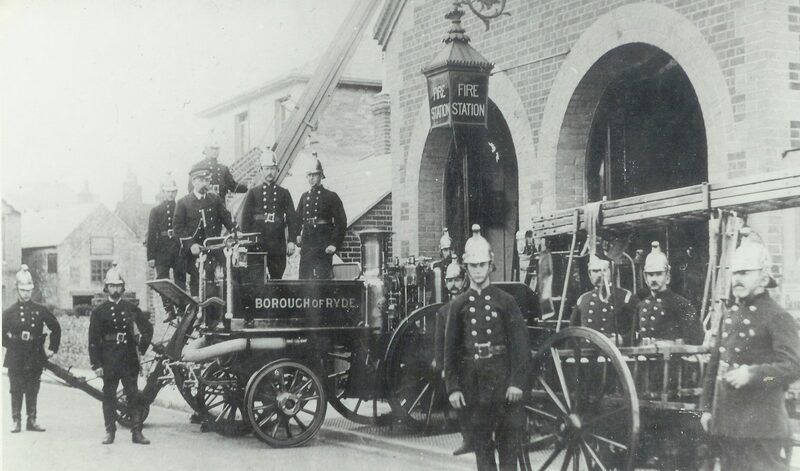 The photo above appeared in an article about Captain Sapsworth in a firefighting magazine of the era and you can also see him below with the brigade at the old fire station in Station Street; or Brunswick Street as it was known before WWI. The clock itself was manufactured by the ‘Hamburg American Clock Company’ in Germany. Damon has been an officer at Ryde since 1996, but the history has always fascinated him and now he’s turning it into a series of books with all the profits going direct to the Firefighters Charity who helped Damon and his family when he was recovering from an in-service injury. See his Website for more detail. Thanks to Leif for the heads-up. 1 Comment on "Fantastic example of huge generosity and respect for Isle of Wight heritage"
Thank you Bob and Beth.